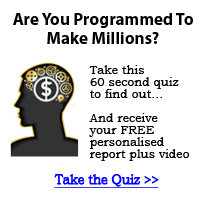 Smarter Incomes & Outcomes For You: An Easy Way To Make Your Small Business More Visible For Just $5! An Easy Way To Make Your Small Business More Visible For Just $5! For example, even if you own a company with only a few really great customers, you want to be visible enough to attract new customers, boost your odds of securing repeat business and do all you can to improve customer satisfaction. The key, according to the U.S. Small Business Administration (SBA), is having a business Web site. The SBA's own Web site notes that the Web "levels the playing field between small business and big business" because it is such a dynamic, inexpensive medium for advertising and customer service. "The Internet is making it possible for small- to medium-sized businesses to compete with the big guys," the SBA said. Conventional wisdom says that any business without a Web presence these days is at a distinct disadvantage, but the latest International Data Corporation (IDC) small-business research exposes a surprising gap. The IDC research found that of the 6.8 million businesses in the United States with fewer than 10 employees, only 3.8 million have a Web site. "That means 3 million U.S. small businesses-or 44 percent of the total-aren't using the Internet to promote themselves online or engage customers and prospects,"
said Ray Boggs, vice president of Small/ Medium Business and Home Office Research at IDC. "In today's connected world, companies that take that step generally find that having their own Web site can deliver a significant opportunity to grow their business, especially if the site is updated regularly." Clearly, small businesses (and many of their customers) are online, yet more than half aren't exploiting the full power of what the Internet can do to help build their business. That power includes creating a dynamic Web site to attract and retain customers, taking advantage of search engines to heighten awareness of a company in today's global marketplace, and communicating with customers around the clock or at their convenience. What stops small businesses from stepping up to this level? For many, the barriers are cost, complexity and inconvenience. By its nature, a small business typically has a small budget and an equally small staff. Unlike the larger companies it competes with, a small business generally can't afford to spend thousands of dollars to buy a server, create a complicated infrastructure and hire an IT technician to keep it all running smoothly. The good news is that some new offerings are cropping up that allow you to establish a Web presence without heavy-duty in-house technical resources and a big cash outlay. For example, Microsoft Corp. has a new Internet-based service called Microsoft Office Live, which at the most basic level provides a small business with a domain name, e-mail accounts and a Web site for free. 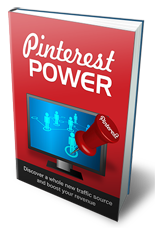 * It's one of the quickest and easiest ways today to get your business on the Internet. And, because it's supported by advertising revenue, and the advertising is designed to be unobtrusive and not appear in the customer's public-facing Web sites, the basic offering is free. "I need an attractive, easy-to-navigate Web site that I can update frequently and efficiently. With Office Live, I can create a slide show of a sailboat race and have it online before the boats even get back to the dock," said Elizabeth T. Becker, a freelance writer and photographer and owner of Seaport Photography. "That means I get to spend less time in front of my computer and more time behind my camera. It's smooth sailing." However, maybe you don't want to or simply can't afford a website just yet. Well, that's no problem either. 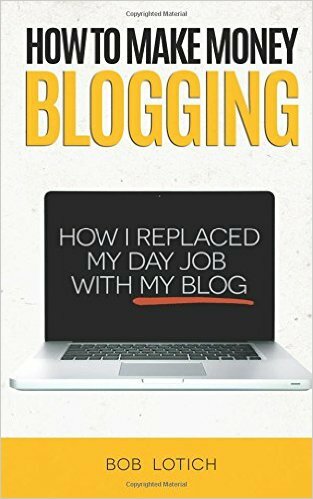 The site you are reading this on is a Google Blogger site and is very easy to set up. In fact, if money is a serious concern, then this may well be of interest to you. 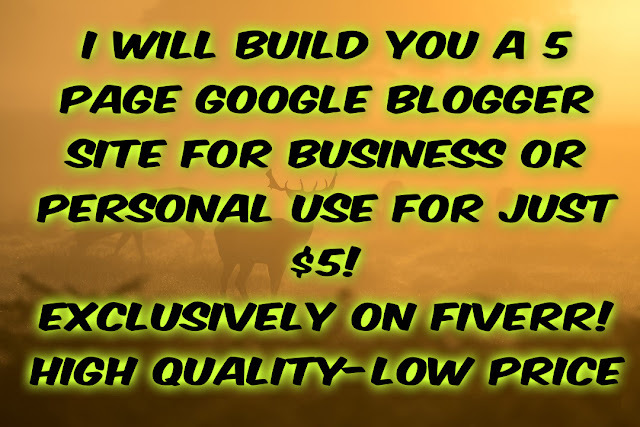 A superb 5 page website all done for you for just $5! Obviously, it's a starter entry product, but it can easily be built and grown into a superb business portal for you. With such an all-in-one solution, a small-business Web site really is a no-brainer. Look at it this way: In a day and age when the majority of us use the Internet regularly, it's highly likely that a large percentage of your customers do, too.